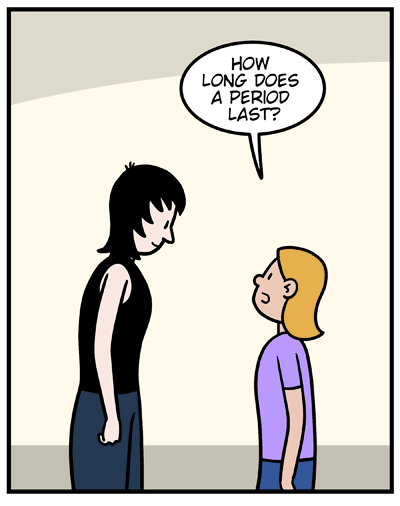 Patron: How long does a period last? Jane: Well, it’s different for every woman. 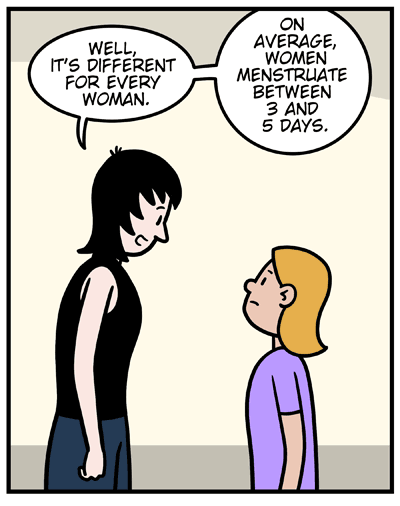 On average women menstruate for between 3 and 5 days. 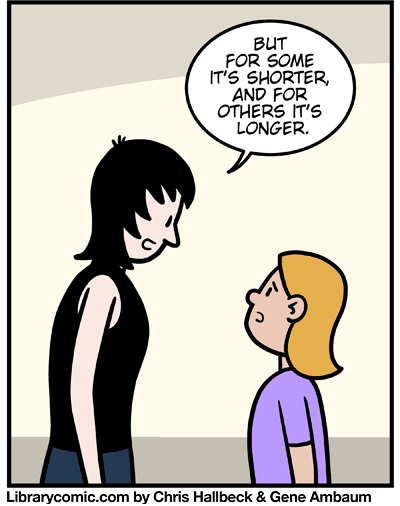 Jane: But for some it’s shorter, and for others it’s longer. Jane: Does that answer your question? Patron: No! 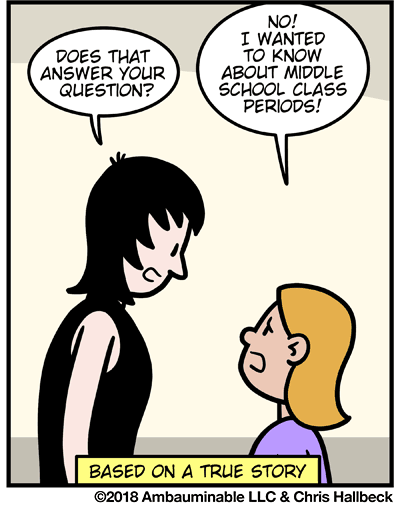 I wanted to know about middle school class periods! Ah, yes! Those follow up questions to the young, like “What do you mean?” can be invaluable. 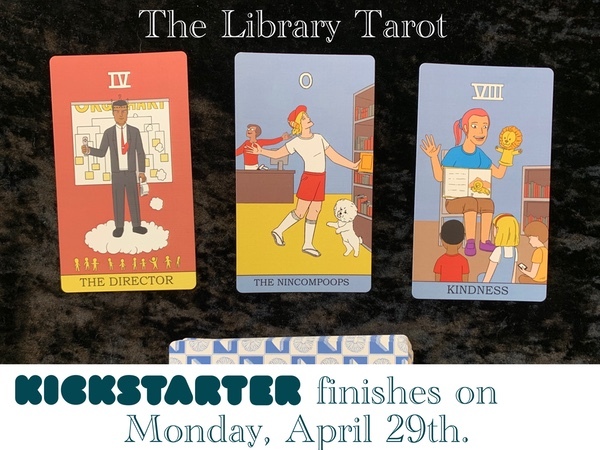 I work in a middle school library. I am STILL learning this lesson!